Earlier this week I shared with you my experiences of historic Stockholm, with a focus on the incredible Vasa shipwreck. Stockholm is a city renowned for its fascinating history, but also its keen eye for contemporary art and design – making for a city with a wonderful juxtaposition where the old meets the new. I often find that the best way to take in the culture of a city is by doing as the locals do, and tracking down the best places to eat, drink, potter and shop. Of course it would be foolish to visit a city and not visit the sites that make them famous, but for me good travelling is about striking a balance between being a tourist and being a local. So here is my quick guide to some of Stockholm’s best places to drink, eat and browse (when you fancy a break from the old stuff!). The brilliant interior design scene across Scandinavia has resulted in a wealth of bars boasting impressive décor. From vintage furniture to pendant lighting, the majority of Stockholm’s modern drinking establishments are a feast for the eyes as well as the liver. By a happy fluke we found ourselves staying in a hostel which was just a short stroll from the Hornstull area of the city. Hornstull has during the past two or three years witnessed extensive regeneration; turning it from rundown to the contemporary bohemian heartland of Sweden. Hornstull is now chock-a-block with clothing boutiques, quirky restaurants and best of all; bars ranging from healthy juice merchants to craft beer breweries. During our first afternoon in the city we found ourselves hunting for a hearty meal after our early morning flight from the UK, so on the recommendation of hostel staff headed straight for Hornstull. Our rumbling bellies sent us in to one of the first places we saw, which just so happened to be one of the most exciting new eateries on the scene. Klang Market (Långholmsgatan 17) serves freshly baked pizzas at rather a reasonable price; along with a good selection of other dishes and a fantastically funky playlist. Food and drink can be expensive in Sweden (even by London standards) but here we were not too shocked when we saw our bill for a few pizzas and beer. A couple of nights later the hipster section of our brains once again led us to Hornstull, this time for some evening drinks. Hornstull is located on the island of Södermalm, where you can find one the best views of the city from atop the large hill – though the walk is easy enough it serves as a great excuse for anyone who needs to justify an evening of food and drink. For relaxed drinks it would be hard to beat Hornhuset (Långholmsgatan 15B) which in itself houses three distinct bars. Across three floors we have first The Square, then Laika and lastly Enzo’s. 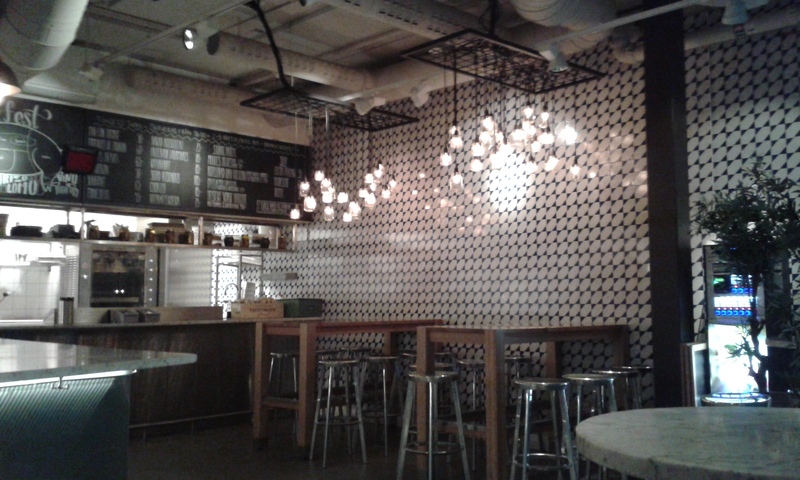 We went for Torget, which is the most relaxed space; devoted to casual drinks and quick bites. There was a great selection of beers from across the globe and I went for the Bulldog Pale Ale. 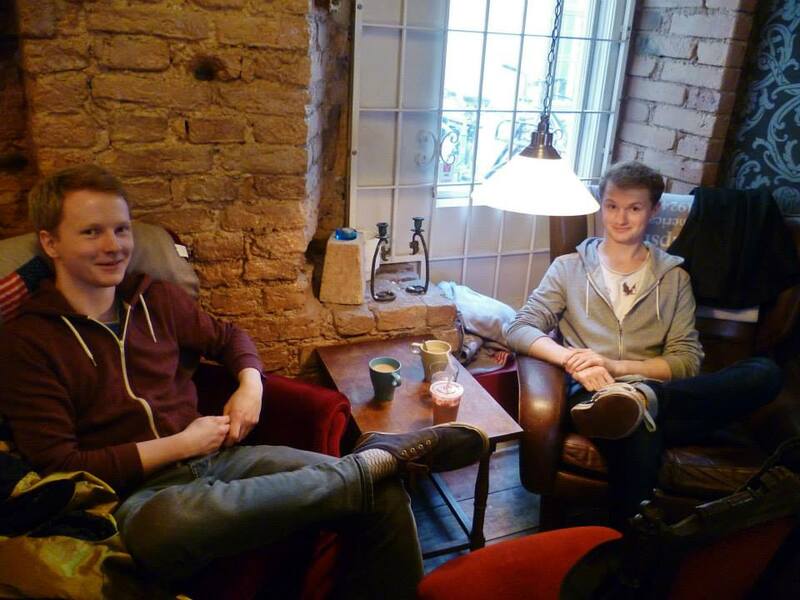 The music choice was perfect for a tranquil drink – you can find Hornhuset on Spotify, where they share their playlists and encourage music contributions from the online and in bar community. 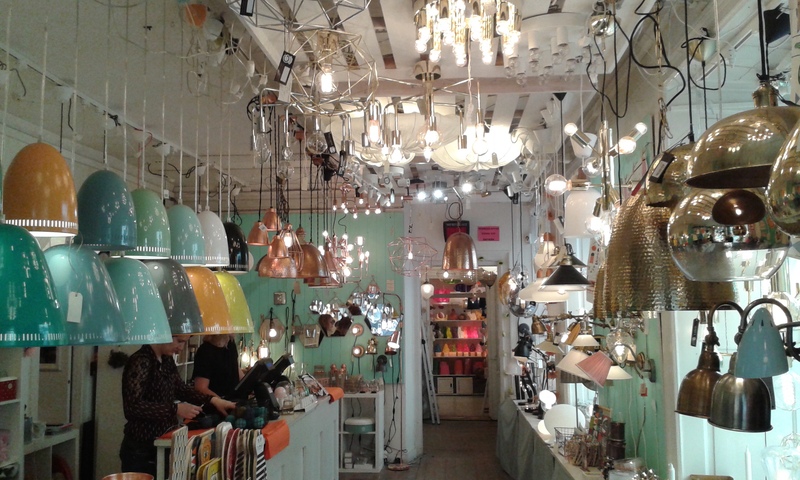 When we stumbled upon a shop dedicated entirely to eccentrically stylish ways of lighting a home, it seemed like a dream come true for me. Affären (Stora Nygaten 26) is located in the heart of Gamla Stan, Stockholm’s beautiful old town and a wonderful labyrinth of winding streets and medieval architecture. Gamla Stan is interesting enough to look at from afar but by really exploring in detail and going down those small side streets you are bound to find something curious. In Affären you can buy pendant lights, industrial style bulbs and oddball side lamps; but for me the best thing was the range of fairy lights. These came in all shapes and sizes and also on sale were fantastic little shades called “Iris Balls” – small enough to fit onto fairy light bulbs to add a little extra colour glow to your abode. 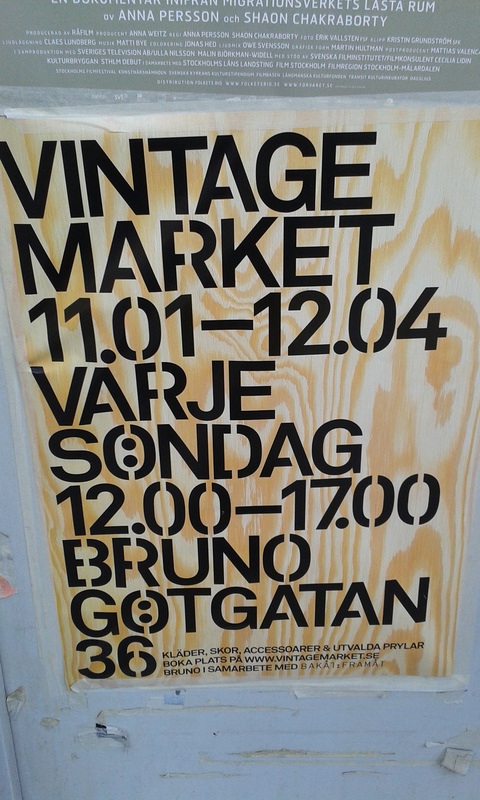 Those with a soft spot for vintage aesthetics and old curiosities (I emphatically include myself in that) would enjoy the Bruno Vintage Market. Found within the little Bruno Mall (Götgatan 30) the market is a great little space to browse some of the more alternative shopping stalls to be found in Stockholm. 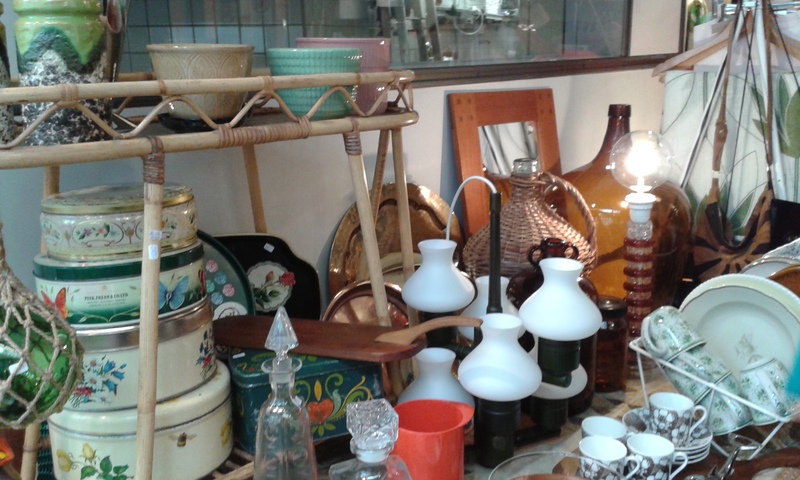 From vintage jeans to antique furniture and kitchenware, be sure to give each stall a good long look to make sure you don’t miss out on any hidden treasures! Well lazy to be precise, but that would have ruined the alliteration of my title. Like many European countries, Sweden has a buzzing coffee culture and really knows how to do a good brew. Coffee in Stockholm is rich and full flavoured, making for a perfect cosy escape from the cold winter months. Back in Gamla Stan, in fact right next door to the aforementioned Affären shop, you can find Café Lazy House. It certainly lives up to the name – soft sofas and a rustic design theme make it the sort of coffee house one could easily spend a day in. We arrived only moments before a hail shower began, with the weather outside seeming to make the coffee served inside even more delicious. There you have it, my whirlwind tour of some of the best places to chill out in Stockholm; from those in the heart of the city to those to be found in the more up and coming areas. 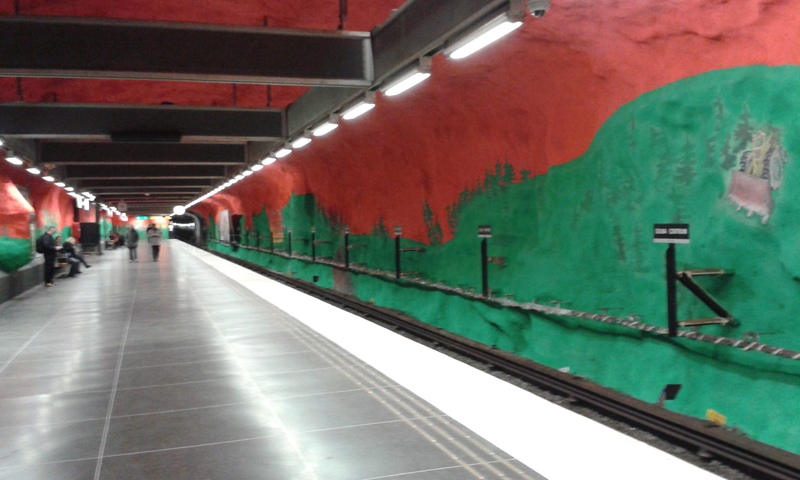 Special mention must also go to some of the Metro stations, which have stunning large scale art installations such as sculptures or wall paintings (check out the blue line for some of the more striking stations). These really add an extra element of adventure to underground train travel, something which I am excited to see in London as the Art on the Underground initiative grows. Östermalms Saluhall appears in all the good guides and is certainly worth a visit for the gourmet inclined – I enjoyed a delightful cinnamon and cardamom enthused bun while there. 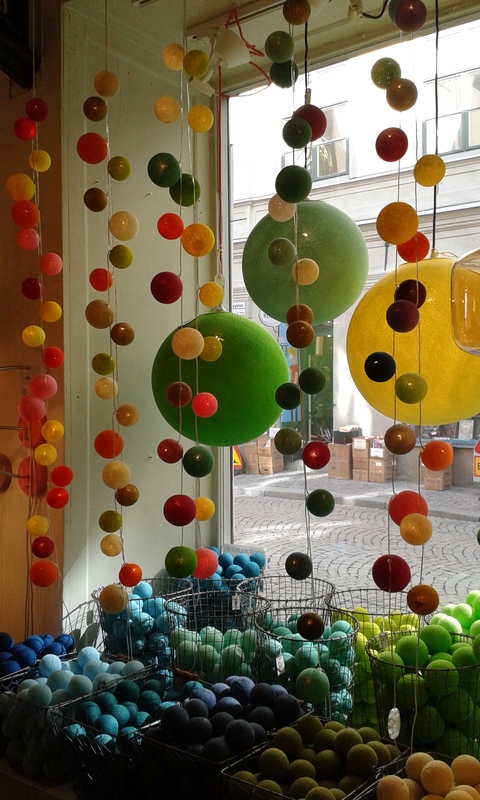 Of course there are always going to be new places to discover in any city, so there are many more gems waiting to be unhidden in Stockholm – perhaps readers, you could enlighten me? I’d also love to hear about any quirky little places you have discovered in other cities across the globe! Wow, thank you so much! Happy that you liked it!